It's Super Bowl time, which means after this, you won't have an excuse to shove your face full of bar food in the name of fandom. 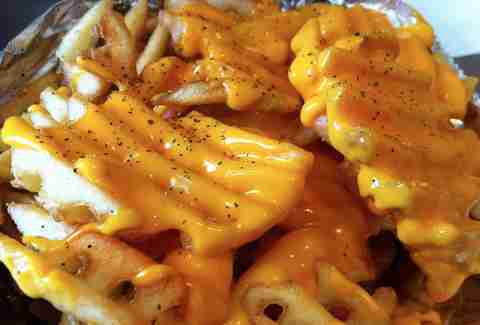 Thanks to this list of the six must-eat cheese fries in NYC though, you will have an excuse to shove your face full of bar food in the name of trying things that Thrillist recommends. You're welcome. 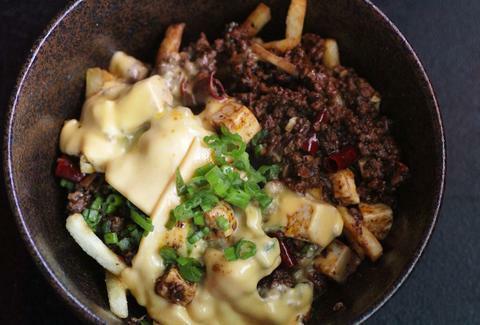 This Asian-influenced, bar-food fusion dish is loaded with taste bud-electrifying Szechuan peppercorns, tofu, and scallions, all topped with "the choice of cheese fry connoisseurs" (which is you now! ), American cheese. 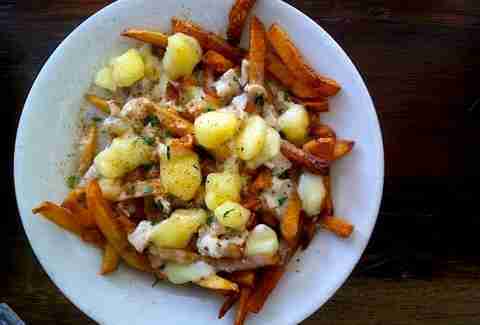 So depending on how you feel about classifying poutine as cheese fries, you could technically fight us on this, or you could enjoy these nice, potato-y fries, meaty gravy, and chewy, flavorful curds. 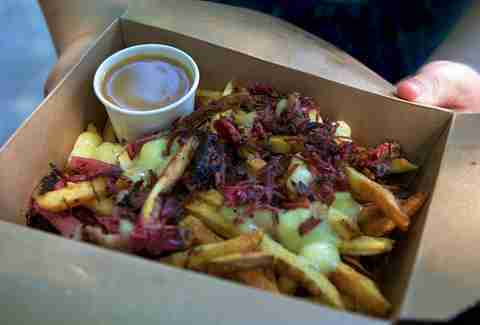 Also, you should 100% add the smoked meat. Everyone's got a favorite dog, but their down and dirty cheese fries make an excellent late-night addition to a hot dog slam-fest, thanks to gooey cheese sauce and chili poured over crispy waffle fries. Don't be afraid of just the slightest amount of high-mindedness seeping into your cheese fry world, because then you'd miss out on this plate that's sorta like a mix of cheese fries and a bowl of New England clam chowder, in the best way possible. 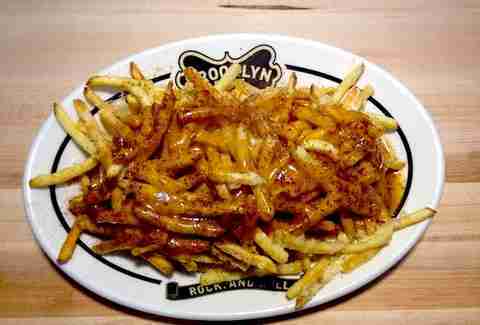 They transform crispy, thin-but-not-quite-shoe-string fries into a messy, funky, pile of awesome by dusting them with some Cajun spices, melting Provolone and cheddar on 'em, and then dumping gravy on everything because, gravy. It's possible that you've been so distracted by their great 10-cent wings that you never actually tried their Irish Nachos, which've got scallions, bacon, and some nice, stretchy mozz on top. Make sure you get them with curly fries for that little extra kick. Andrew Zimmer is Thrillist's New York Editor, and prefers cheese fries to regular fries because, come on, this is America. Follow him on Twitter and Instagram.